Darjeeling: A Gorkha Janmukti Morcha team (GJM-Bimal Gurung faction) including Sarita Rai, MLA, Kalimpong met Union Home Secretary Rajib Gauba in North Block, Delhi, on Friday and handed over a memorandum demanding immediate tripartite talks to find a permanent solution to the Gorkha impasse. A press release was dispatched by Roshan Giri from an undisclosed location which stated that the Union Home Secretary had invited the GJM for talks. "The Union Home Secretary has assured us that the home ministry would hold a tripartite meeting after Durga Puja holidays. The Union Home Secretary asserted that a fact finding team would be sent to Darjeeling and other places to look into charges of misuse of law and order machinery by the district administration and police," claimed Roshan Giri in the release. Giri is wanted in many police cases and has been on the run at present. The GJM team was led by Lopsong Yolmo, former Chairman, Gorkhaland Territorial Administration. Yolmo was recently declared as the working president of GJM by Bimal Gurung, who is also on the run. Both Gurung and Giri were not part of the team that met the Union Home Secretary. The memorandum requested for a series of tripartite talks between the Union Government, Bengal Government and the GJM to find permanent a political solution to the Gorkha impasse. 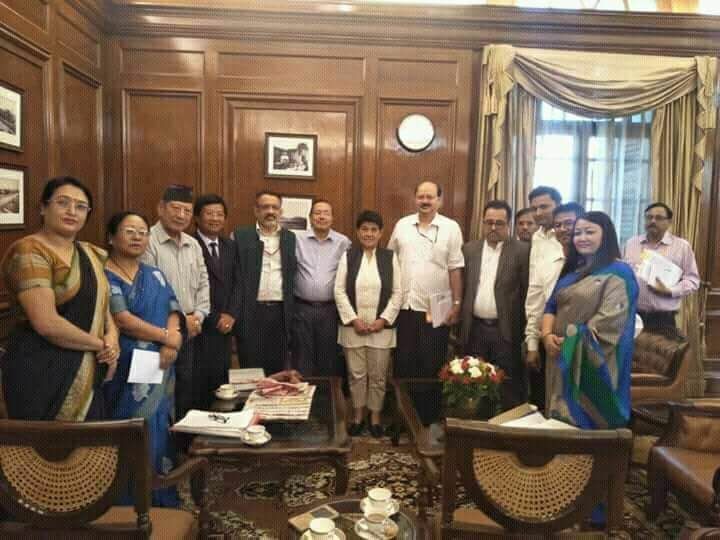 They also requested the government to constitute an Expert Committee to study the economic, administrative and political viability of a Gorkhaland state which will include Darjeeling, Kalimpong, Terai and Dooars region.